Have you spent years building a production music library? Meticulously mastered thousands of sound effects to sell on the Internet? 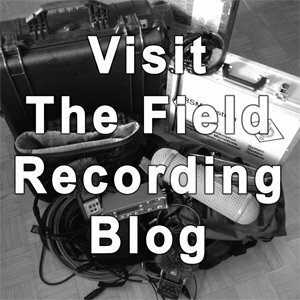 Many field recordists and musicians want to publish, and this number is growing. I have signed many distribution deals with both libraries and Web shops. The following is information I would have killed to know when I first started building a sound effects library. Copyright is a murky subject. I want to share the knowledge I’ve learned with you. It’s important to know how your creations are protected by copyright. This is critical whether you want to sell sound effects for download on your own Web shop, or distribute through another. In my previous articles I introduced the broad strokes of copyright and also how it affects you when using sound effect libraries. Today we’ll see how it applies to sound library owners themselves. I’ve split this final aspect into three posts. The first looks at how to apply copyright to a sound library. The second looks at copyright hazards sound libraries face. Then final article examines why copyright is important when selling or sharing sound fx. You’ll be familiar with some of these concepts if you’ve read the previous articles. I’ve expressed them here with a perspective to help sound library owners understand how copyright applies to them. Complete control over your work. The right to decide how your creation will be used. The right to grant permission for others to use your work. Legal rights to protect the three points above. Without copyright, your sounds would be in the public domain. This means that anyone could use them, share them and earn income from them. The original creator no longer has any control over their work when it is in the public domain. Legally speaking, those creations cannot demand recognition or compensation. This is precisely what we want to avoid happening to your creations. So, how do you protect your sound library? The good news is that the instant you complete a sound creation it is already protected. When it is finished and committed to a storage medium (hard disk, Compact Flash, USB stick) it is considered to be an expressed creative thought, and linked to you. There’s no paperwork that must be filed. Lawyers do not need to be involved. If you can prove you were the person that created it, then the copyright is intrinsically embedded with your work. You alone have the “copy right,” or the “right to copy,” duplicate, perform and store the sound creation. The complications of copyright appear when a creator wants to give permission to use their sound effects. Giving permission is called licensing. We’ll look at the licence itself in a moment. For now, be aware that licensing is an act of granting permission. Every sound library owner has different ideas on which permissions they wish to grant in their license. There are endless ways to do this, and they are gathered under four broad categories. Each right has a link to its own Wikipedia page. You can also read more about these rights in the first article in the series. Perhaps you still want to own the sound effect (of course), but allow others to perform it (i.e., play or sample it) in public. This opens up the copyright to allow performance rights. Maybe you wish to allow customers to download your sound clip and store it on their computers. Copyright doesn’t allow this either. To do so, you must grant your customers mechanical rights. 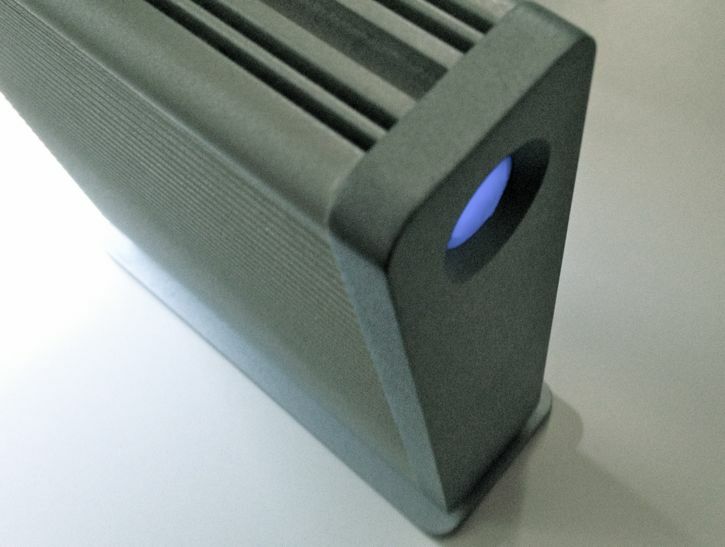 This allows duplication and storage of your work. As you can see, each right can be granted with varying control. For example, mechanical rights allow a customer to store your sound on their computer. However, you can limit the mechanical rights to making only one extra copy, no more. You may require that the computers not be connected to a network, or indicate extra fees that will be required if they do so. You may allow customers to play your sound effects with performance rights. This will allow them to play or audition the sound through a sound system for others, or during a theatre production. Music libraries often require a fee every time a song is performed. 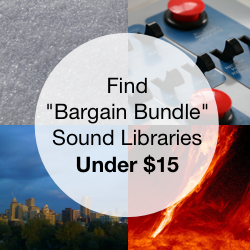 As a sound effects library, you may choose to waive this fee. What rights you decided to include or omit are completely up to you. How do you know which to choose? There are thousands of options, after all. 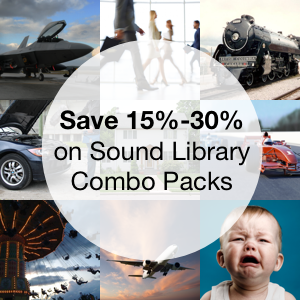 Here are the typical rights sound effects libraries grant. You can use this as a starting point to think about how you want your sound library shared and used. Limited synchronization rights. The sound must be paired with other video or audio or media. Timed-relation. It must be paired in a progressing timeline. Integrated. It also must be synchronized in a way that the original sound may not be extracted afterwards. Perpetual use. The user is allowed to use the sound forever. Limited mechanical rights. The customer is allowed some duplication and copying of the sound. Storage. They are allowed to store a copy. Limited back ups. They can make one extra copy for backup purposes. No network. They cannot store the sound on a computer workstation that connects to other workstations. Royalty-free. No additional fees (beyond the initial purchase price) are required if the customer uses the sound in the ways listed above. Ring tones, cell phone or mobile use. Software when sound effects are not integrated in the code. So, you’ve decided which rights you wish to grant. Now you need to let people know them. You express these rights, using legalese, in the End User License Agreement. We looked at this EULA last week. This licence doesn’t need to be paperwork mailed with every purchase. It can exist on a website page. However, it must specify how and when and to what this licence applies. For example, the page may describe that the licence is applied to every sound on a Web shop. It may be applied the instant a sound is sampled, or downloaded. A web shop may include a checkbox during the checkout. You’ve likely seen something like this in software: “By checking this box you agree to the terms and conditions…” Checking this box is essentially the same thing as a user signing a licence agreement. Whichever method you use to communicate or assign the licence, the important thing is to express what rights are granted. It must be easily found. And finally, it must indicate how and when and to what the license applies. Make this as clear as possible. It’s essential that the people using your creations know their rights and limitations. I’ll continue next post describing copyright hazards that sound library publishers encounter when creating a collection.